Richard Sansom 42 of Inez passed away Tuesday morning at Cabell Huntington Hospital. Arrangements are incomplete and will be announced later by the Phelps and Son Funeral Home of Inez. Walter Wolford age 59 of Warfield passed away September 10, 2011 .Born July 12,1952 to the late Roy Wolford and Mae Damron ; surviving is his wife Enoia Smith Wolford of Warfield , two daughters Paige Lynn Martin of Williamson, WV. and Regina Dawn Delong Wolford of Warfield. ; four brothers Tom and Ermal Wolford of Ransome , Ky. Johnny Wolford of Va. and Homer Wolford of Michigan,; one sister Stella Miller of Ransome, Ky. and four grandchildren Tyler Shawn Copley, Ashley Lynn Copley , Brandon Lee Copley and Amber Paige Copley all of Delbarton, WV. Memorial services will be at a later date, arrangements under the direction of Phelps & Son Funeral Home of Inez. 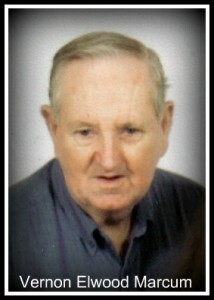 Vernon Elwood Marcum, age 77 of Stonecoal Road, Kermit, passed away Friday, September 9, 2011 at the Hospice Care Center in Huntington. Born November 9, 1933 in Wayne County, he was the son of the late Leonard and Mae Damron Marcum. In addition to his parents, he is preceded in death by his wife, Rosie Marcum; and several brothers and sisters. He is survived by his daughter, Janet Lynn Fleming of Kermit; two brothers, Amos Marcum of Kermit and James Marcum of North Carolina; three sisters, Thelma Dannison of Columbus, Isabelle Ellis of Hurricane, WV and Ruby Damron of Clifford; and one grandchild, Megan Rose Fleming. Funeral services will be 11AM Monday, September 12, 2011 at the Golden Springs Freewill Baptist Church with burial to follow in the Marcum Family Cemetery on Stonecoal. Freddie Lovins and Billy Messer will officiate. Friends may visit the church after 4PM Saturday and all day Sunday. Arrangements are by the Phelps & Son Funeral Home, Inez. 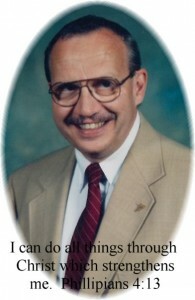 Franklin C. Copley 67, of Beauty, KY; passed away on Monday, September 12, 2011 at Three Rivers Medical Center in Louisa, KY. He was born on Feb. 21, 1944 in Martin County, KY; he was a son of the late Bascom and Sallie Music Copley. Franklin was a retired coal miner and Vietnam Veteran. He was preceded in death by his brothers, Doug, James, and John as well as sisters, Siss and Eloise. Franklin is survived by his wife; Doris Osborne Copley of Beauty, KY as well as sons, Frank Jr. of Beauty, KY and Kevin (Chandra) Copley of Paintsville, KY. He is also survived by his 4 grandchildren; Paige and Sherdin of Waverly, OH and Tyson and Justin of Paintsville, KY. Frank is also survived by his sisters; Phyllis Tipton of Inez, KY and Lena Collier of McArthur, OH and brothers, Gene Copley of Pilgrim, KY and Chester Copley of Louisa, KY.
Funeral services will be conducted on Wednesday, September 14, 2011 at 1:00pm at the Richmond-Callaham Funeral Home, Warfield Chapel with John Jude officiating. Burial will follow in the Pinson Cemetery of Inez, KY. Visitation will be after 6pm Monday and Tuesday at the funeral home. Arrangements are under the direction of the Richmond-Callaham Funeral Home, Inez, KY.
Robert Lewis (Bob) Jacobs, 66, of Debord, Kentucky passed away at his home on Monday, September 12, 2011. He left peacefully, surrounded by family and friends after his battle with cancer. Bob Jacobs was born on November 14, 1944 in Brunswick, Georgia to Lee and Lillian Jacobs. He attended Glynn Academy in Brunswick and graduated in 1962. Shortly after graduation, he enlisted in the United States Navy and served as a ship’s welder on the USS Everglades. On September 30, 1966 he married the love of his life, Betty Jane Collier in a lovely ceremony in Green Cove Springs, Florida. The Jacobs’ began their new family in Brunswick, Georgia and were blessed with two children Becky Lynn and Barry Robert Jacobs. Bob and Betty attended the Carteret Road Church of Christ in Brunswick, Georgia. 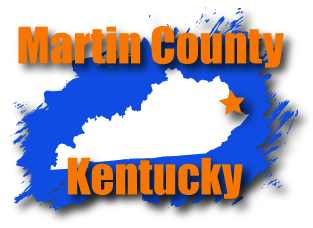 In August of 1977, Bob moved his family to Martin County, Kentucky. Bob was a member of the Inez Church of Christ on Coldwater Road, where he served as an Elder, preacher, teacher and song leader for many years. He is survived by his loving wife, Betty Jane (Collier) Jacobs of Debord, Kentucky. Daughter, Becky Lynn (Jacobs) Cain (Larry Cain), of Inez, Kentucky. Son, Barry Robert Jacobs (Karen Smith) of Florence, Alabama. Grandchildren, Caitlin Elizabeth Freeman, Kayla Lynae Freeman, Cody Collier Freeman, Seth Robert Jacobs, Jacob Harrison Cain and Anna Carolyn Jacobs. His mother, Lillian (Putnal) Jacobs of Brunswick, Georgia. Sisters, Elizabeth (Jacobs) Garrett (Ed Garrett) of Perry, Georgia, Christine Jacobs of Brunswick, Georgia and Deborah (Jacobs) Riner (Tom Riner) of Brunswick, Georgia. Many loving nephews, nieces, cousins, Christian brothers, sisters and friends. He is preceded in death by his father, Lee Calvin Jacobs, mother in law, Vada (Cain) Collier and father in law, Leonard Collier. Visitation will be Wednesday and Thursday evening at 6pm for all family and friends at the Richmond Callaham Funeral Home in Inez, Kentucky. Funeral will be held at the Inez Church of Christ on Coldwater Road in Inez, Kentucky on Friday, September 16, 2011 at1 pm with visitation prior to the funeral at 12pm. Ministers Barry Jacobs and Cotton Maynard will direct the celebration of Bob’s life. Military graveside services will be conducted by the VFW Belfry Chapter 141 at Golden Shores Memorial Garden on Coldwater Road in Inez, Kentucky. The family would like to express their sincere appreciation to the Veterans Hospital in Huntington, West Virginia and to all of the wonderful doctors and nurses who cared for him.